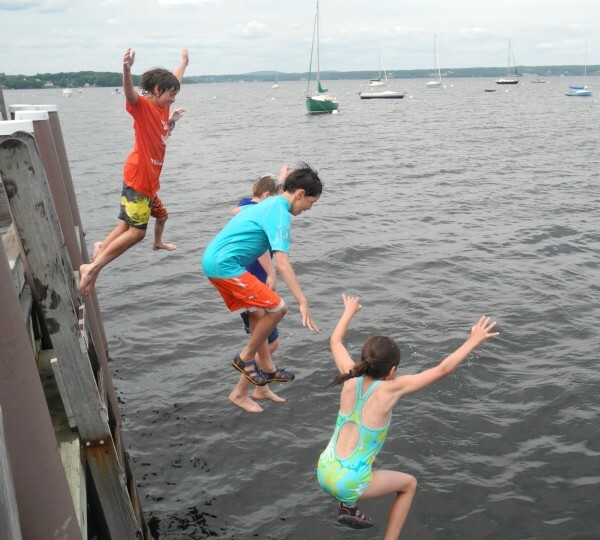 From left to right, Harrison Rankin, 12, of Cheyenne, Wyoming; Sam Case, 10, of Belfast; and Lily Case, 8, of Belfast enjoy a rite of passage by jumping off the Bayside Village dock. 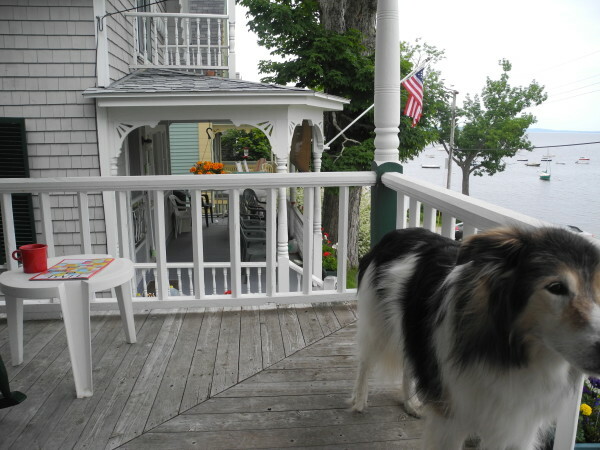 A dog gets up Saturday from a brief nap on the porch at Lincoln Cottage in in Bayside Village. "I've been coming here all my life," Alma Homola of Orono said of the summer community. "It's just such a unique place. You can do things -- or you can sit on the porch and watch things." 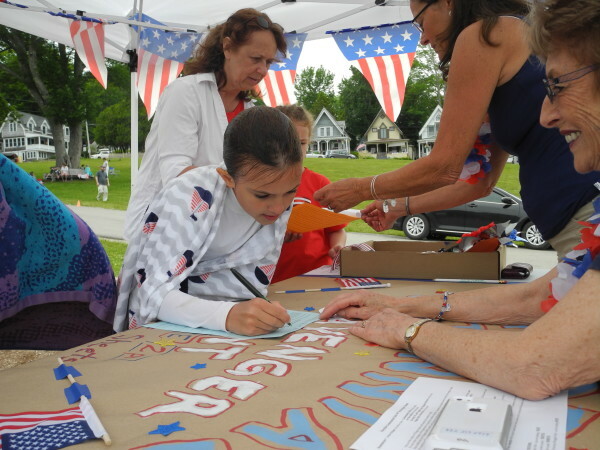 A girl signs up to take part in the Bayside scavenger hunt that was a part of the July 4 festivities. "It's to learn the history of the houses in the area," Carlton Smith, one of the organizers, said. "It's like a little tour of the town." Many of the cottages in Bayside Village had their origins in the Wesleyan campground, which was started here in the 1850s. Thousands of people from around New England would make their way to the peaceful spot on Penobscot Bay and stay in tents with other people from their town or county. Today, some of the gingerbread Victorian houses built on the tent sites retain their original names. 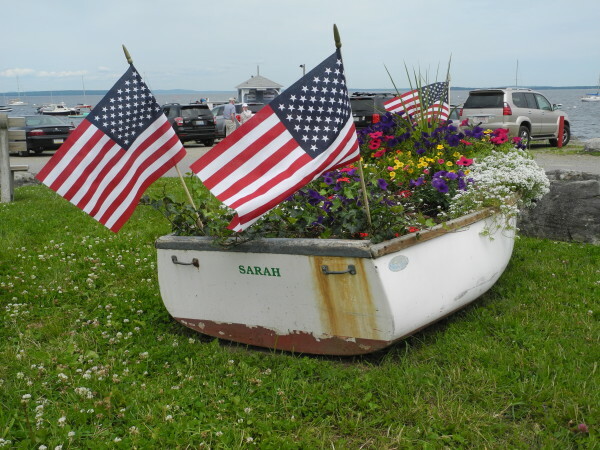 A boat festively filled with flowers and adorned with flags decorates the Bayside Village harbor entrance. NORTHPORT, Maine — Even for casual visitors, there’s something special about Bayside, where packs of children roam the narrow streets and dart past the Gothic revival cottages bedecked with flowers and elaborate gingerbread trim. But for those who come back year after year, what’s special about Bayside village is that it simply feels like home. This summer, the Bayside family is throwing a big party to mark the 100th birthday of the village they love, with events steeped in tradition and the spirit of the community. In 1915, Bayside formally became known as the Northport Village Corp., an independent entity within the town of Northport. 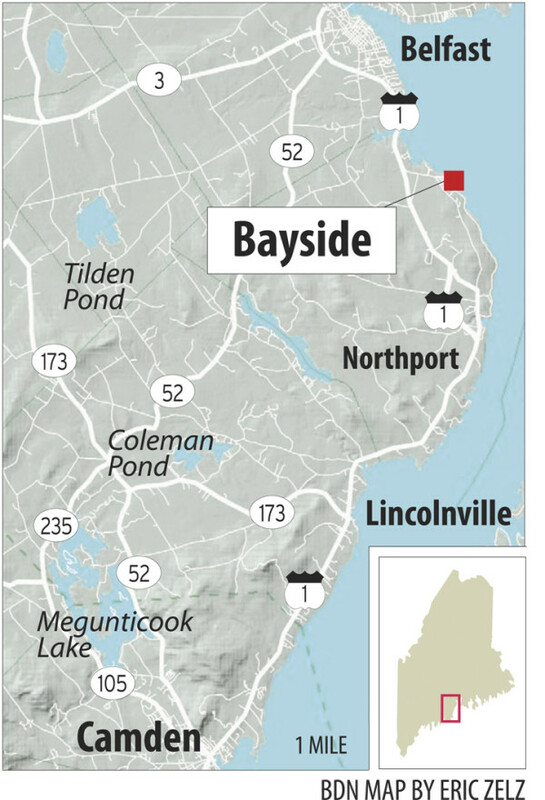 More than a half-century before that, the 30-acre piece of land on Penobscot Bay had been developed as the Northport Wesleyan Grove Camp Meeting grounds. Steamships would chug up and down the coast, unloading thousands of passengers at the Bayside wharf on the weekends. The faithful would camp in canvas tents named for the towns from which they hailed and would pray and socialize together at open-air revival meetings. During the years after the Civil War, the Bayside property was enlarged and built up, with the addition of roads, parks, hotels, a wharf, an auditorium, theater and summer cottages to replace all those tents, according to the website for the Cultural Landscape Foundation. Even though religious fervor waned in the early 20th century, people remained eager to leave hot cities for the refreshing sea breezes and scenery of the coast of Maine. Denis Wang, chairman of the Bayside centennial committee, said today’s residents are careful to maintain the essence of the village, which features nearly 160 original cottages and buildings. The Bayside Historic District was listed in the National Register of Historic Places in 1996. Wang is a retired teacher who said he has a “very typical story” when it comes to how he settled in Bayside. He had been looking for a place to spend his summers and drove all around Maine and New Hampshire to find it. Then a real estate agent brought him to Bayside, and it was love at first sight. One of the selling points for him is the fact that it is a close community, because the houses are so cozily packed together and because the people who live in them know one another. Although many of the cottages are rented out by the week or by the month, those short-term folks also are invited to join in village activities, including the active historical society and the Northport Yacht Club. That might sound fancy, Wang said, but it’s not. For Wang and many others, that sums up the community’s charm. 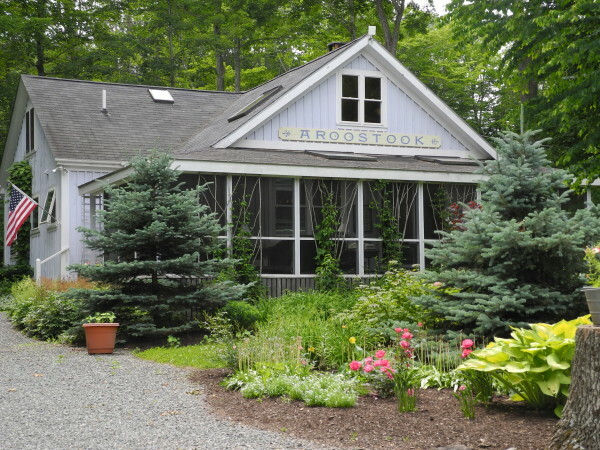 Some upcoming centennial events that showcase that spirit include a cottage and garden tour from 1 to 4 p.m. Sunday, July 19; an old-fashioned lobster bake and community potluck in Ruggles Park on Sunday, Aug. 9; and “illumination Saturdays,” when public buildings and participating cottages will be adorned with lanterns from July 18 through the month of August. For information about the event schedule in Bayside, visit the website at bayside100.org.